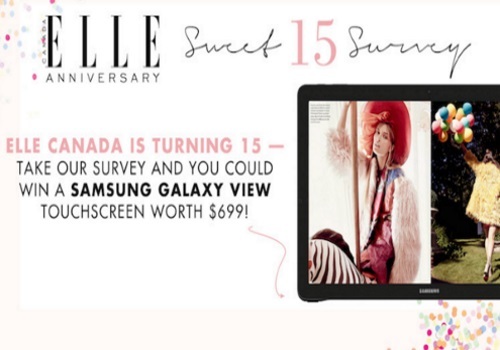 ELLE Canada magazine is turning 15 and is celebrating with a giveaway! Enter to win a Samsung Galaxy View Touchscreen (worth $699). To enter just complete the survey at the link below. Quebec is excluded. Contest closes February 21, 2016.